This past weekend was a busy time for juniors and seniors at Lampeter-Strasburg High School. 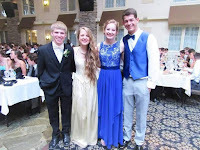 On May 30, the Eden Resort hosted the 2015 L-S Junior Senior Prom. The event started at 5:00 pm when students arrived to LancasterOnline snapping pictures for their prom webpage. However, planning for the Prom had begun long before Saturday for some students. What many students call ‘Promposals’ started as far back as March. For the next three months, social media would feature special flowers, notes, letters, and posters as couples unite. Students enjoyed coming up with creative ways to ask their dates to the dance. For example, senior Seth Bare created a scavenger hunt for his girlfriend, Megan Doolittle, a junior. Other students prefer a more classic approach involving flowers. However, food is a popular concept. Some students ‘promposed’ with donuts or some form of cake. Some couples took a less traditional route in that the girl asked the guy. As early as March, many girls began their quest for the perfect dress. 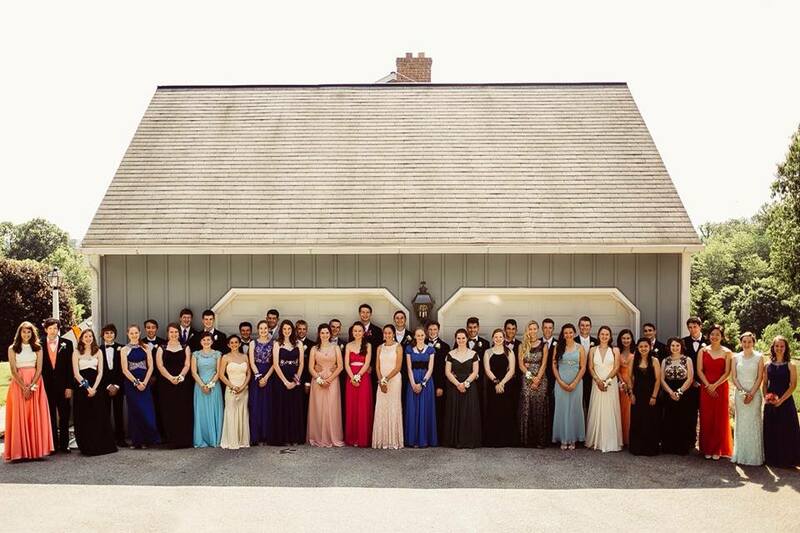 The Do Something Club had organized Prom for All, which allowed students to purchase clothes and accessories for prom at low costs at the school. Other students had donated the items to be sold. Seeing classmates dressed up so fancy was a rare treat. No two dresses were exactly alike, and even the guys were excited about aspects of dressing up, like vests and pocket squares. 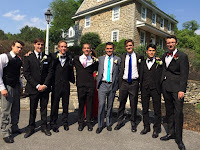 Many students enjoyed gathering before the Prom to take pictures together. At this time, couples exchanged pre-ordered, ensemble-matching flowers. Couple shots, group pictures, and selfies are all equally acceptable. Among the largest photo sessions were those at the homes of seniors Seth Bare and Julia Eshleman, which each had over 50 attendees. LSNews.org featured several photos from each gathering on Facebook. The student body reunited in the lobby of the resort before the doors opened to the banquet hall. The theme of the night was a masquerade ball. However, few people wore masks, ostensibly deciding that taking pictures, dancing, and eating would be difficult with a mask on. The teenagers were too excited to see everyone so dressed up to really care anyway. Students did find decorative masks on the tables as they entered and found their assigned seats. While everyone arrived, the party-goers mingled and ate appetizers offered by the Eden staff. A favorite among the students was the fried mac and cheese. Dinner was soon served, which included chicken, mashed potatoes, and green beans. Finally the tables were pushed to the side and the dancing began. Many students did not find the music satisfactory, although most conceded that it improved -- at least somewhat -- as the night progressed. Old favorites like "Footloose" and "Shout" were among the favorites. Part way through the party, the prom king and queen were announced after each candidate in the court was introduced. The court performed a short, choreographed dance. The winners were Sarah Morris and Grant Rohrer. Overall, students seemed to have a good time at the dance. Eric Gross, a junior, commented that, "It was a blast dressing up and spending the evening with some awesome friends". The crowd thinned out after 9, and the event ended at 10 pm. 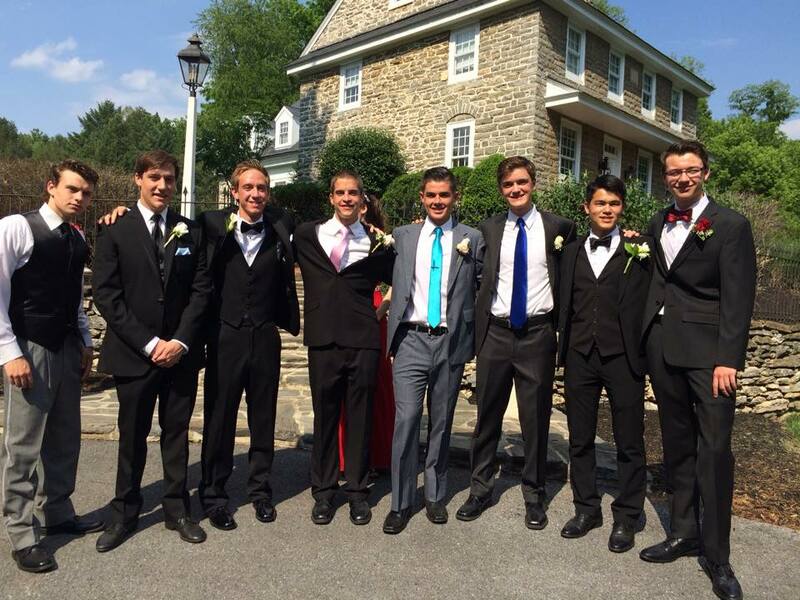 Many students then reported to post-prom where they met up with friends who did not go to prom. The decorations were amazingly well done for the Superhero theme. 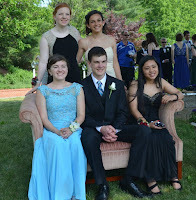 David Bassett, a senior, said that “Post prom was a huge step up from last year with its decoration”, a common reflection among all who attended. Some students even dressed up as superheroes or with superhero t-shirts. The event featured laser tag, a giant inflatable wrecking ball, mini golf, lots of food and candy, free Starbucks, a photo booth, airbrush tattoos, and prizes. Post prom ended at 2, but students whose parents helped with the event stayed to clean up. It was a long, but thoroughly enjoyable night from beginning to end. Social media is still flooded with pictures from the occasion.